“And so…(o)n Wednesday, I will…go to the Palace and offer my resignation, so we will have a new prime minister…by Wednesday evening” – a change of heart after Cameron earlier announced he’d step down at the party’s October convention. 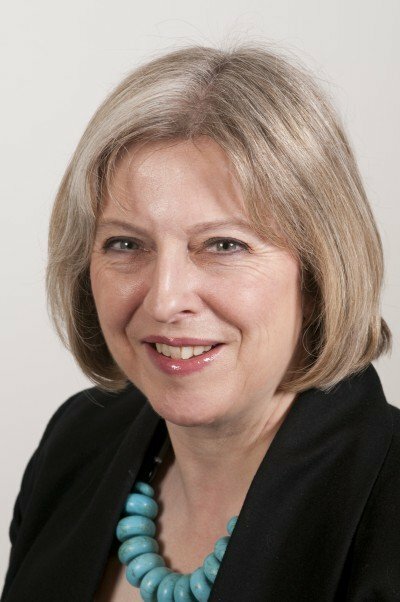 May now becomes UK prime minister designate – current home secretary since 2010, Maidenhead MP since 1997, former Conservative party chairman, House of Commons shadow leader, as well as active in other shadow ministerial roles. After leading candidate to succeed Cameron, former London mayor Boris Johnson, pulled out of contention, May emerged as Tory leadership frontrunner. From 1977 to 1983, she worked for the Bank of England – from 1985 to 1997 serving as an Association for Payment Clearing Services International Affairs financial consultant and senior advisor. She’s tough on immigration, favoring closed, not open borders – certain to continue partnering with Washington’s imperial wars. “I will make sure that we leave the European Union.” What monied interests on both sides of the Atlantic want she’ll deliver, likely manipulating public sentiment to reject what was previously approved. Delaying initiating the Brexit process by invoking Lisbon Treaty Article 50 until yearend begins the manipulative process to exert political over popular will. It remains to be seen how May governs overall. Given Britain’s deplorable history since 1980s Thatcherism, reason for encouragement is absent. Dirty business as usual remains triumphant. Leaders are chosen to assure it. Voters have no say whatever. Lib Dem leader Tim Farron, saying “May has not set out an agenda and has no right to govern. She has not won an election, and the public must have their say” belies reality unfolding in plain sight. By mid-week, Britain will have a new prime minister, likely no different from the deplorable current one.